I’ve been so heads-down with work that there has been little or no energy time for anything else. This isn’t a good way to live, all out of balance… It’s also not a good way to work actually. As the great composer Claudio Monteverdi once wrote, ‘good work and haste do not go together’. Sometimes the best ideas arise from simply doing nothing. It’s now June, allegedly summer, although the gale-force winds this week would make me question this. Amazingly, the sunflowers are still standing. There’s very little to harvest though, just two rows of lettuce. It seems that the Hungry Gap lasts well into the year in Birmingham (my history books always taught that March and April were the sparse months when the peasants suffered; that is ripe for revision me-thinks). 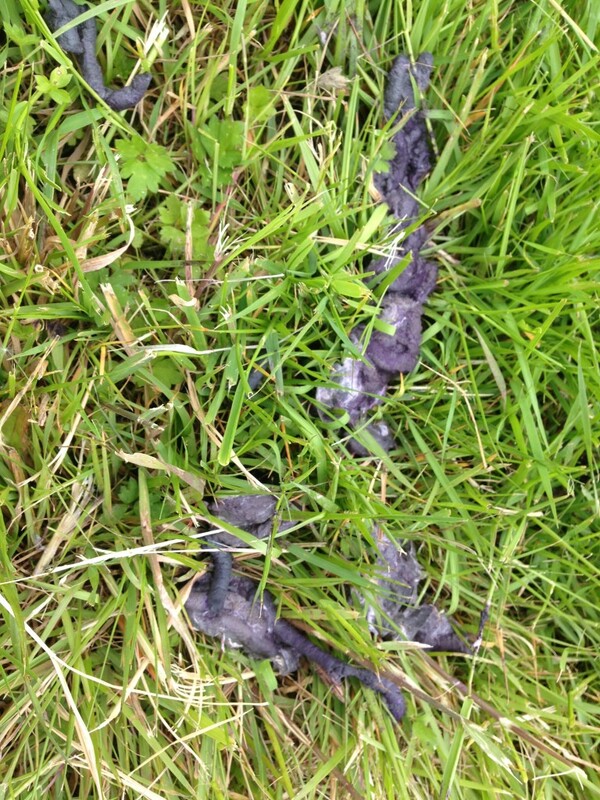 Fox droppings. Think it perhaps is suffering from too many berries. I’ve had to net the strawberries after two wildlife attacks. The first saw the only ripe fruit disappear, but the second saw unripe fruit separated from the plant and dumped on the plastic matting. Perhaps foxy had a disappointing supper after all. Other than the interminable weeding, all there is to do is watch and wait until the summer bounty is ready. 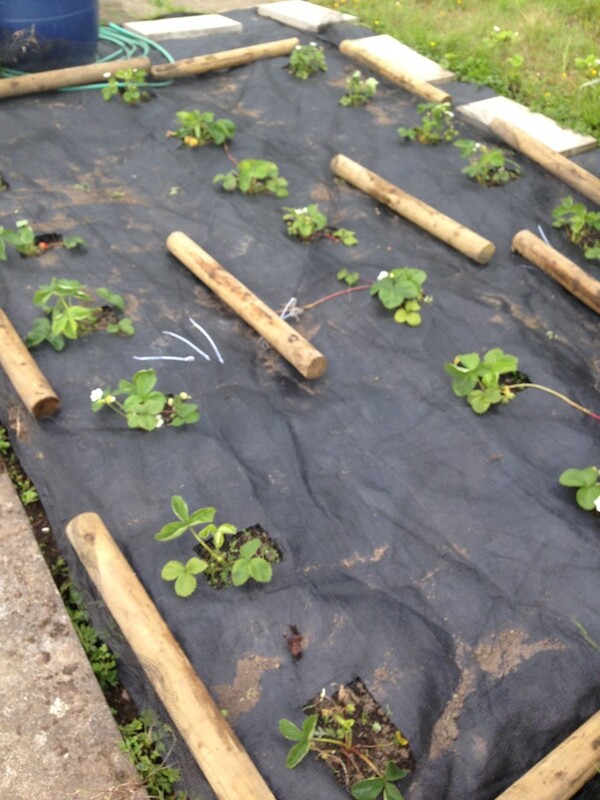 This entry was posted in Allotment, Summer and tagged fox, netting strawberries. Bookmark the permalink.